Our team have been busy this month recruiting new staff at the Jobs in Care Recruitment Fair on 3 October at the Assembly Hall in Worthing. 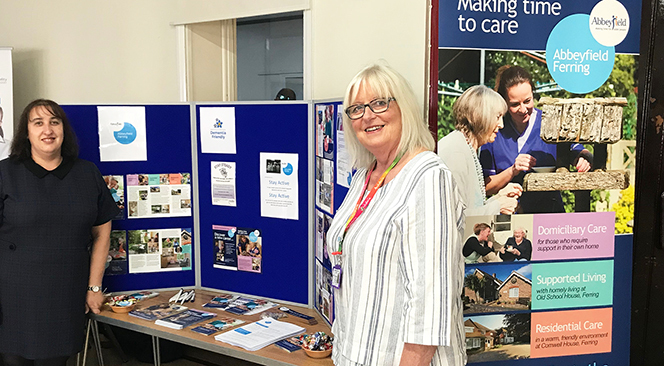 The event was focused on Jobs in Care and was organised by West Sussex County Council ‘I love care’ team. We set up our stand, literature and banners and felt it was a good opportunity for job seekers looking for opportunities in the care sector. We did take a few names and chat to some prospective recruits. We do advertise all our jobs on our website careers page so if you have visited this page directly, please do take a look at the current vacancies we have and perhaps bookmark the page in future as we do offer different roles from time-to-time. Our current positions include Day Support Workers for 6.5 hours per day and Community Care Workers.